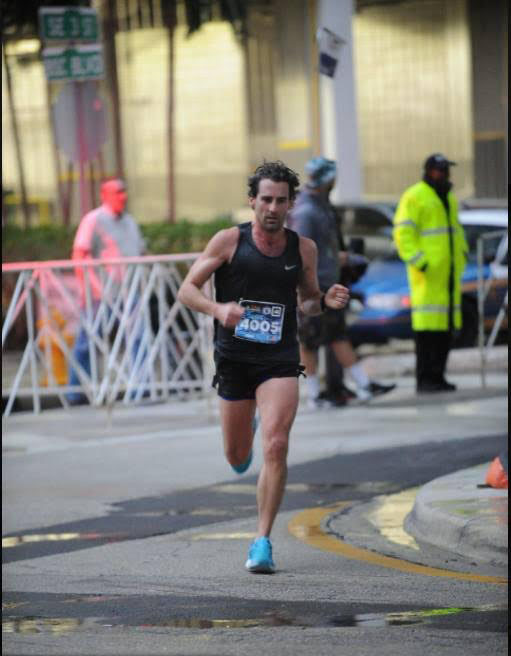 At the 2017 DC Rock 'n' Roll Marathon, Dino LaCapra, a Coach Kiprunning trainee and former DC resident, finally broke the three-hour marathon barrier, finishing the race with a time of 2:57:58. This accomplishment--the pinnacle for most recreational marathoners--took LaCapra nearly a decade of training and ten full marathon attempts. His commitment and continued discipline, which involved avoiding rogue freight trains, can serve as guidance for every runner at every ability level. 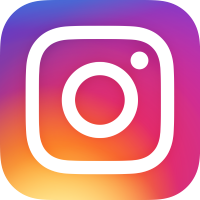 Coach Kiprunning: Could you introduce yourself to our readers? Dino LaCapra: My name is Dino LaCapra. I lived in Washington, DC for 7 years, but I have recently relocated back home to Miami. 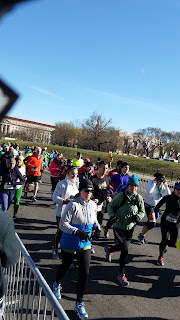 I started running in high school for my cross country team, but I didn’t start long distance marathoning until 2009, when I was living in DC. My job requires a lot of travelling, so sometimes it's hard to keep the legs fresh and to get in all of the training in that is required for these longer distances. CK: What was the trick? What adjustments did you make to reach your sub-three-hour marathon goal? DL: The primary difference was that I took a good month off prior to this training cycle, just doing casual runs, to regain energy and the desire to run. In addition, I was able to cut back completely on my travelling, so my legs never were abused by those air miles. CK: What was your training regimen like? How many days did you run? Did you complete any strength training? DL: I ran 6 days a week while doing Pilates on my day off, which is an incredible workout. About four weeks out from the race, I stopped my Pilates work and rested entirely on the 7th day. CK: What was your peak weekly mileage for this race, and what was your longest long run? DL: My peak weekly mileage was 85 miles; my longest run was 22 miles. CK: Got any delicious recovery food suggestions? DL: After every long run, breakfast with my running friends--4 scrambled eggs, grits, everything bagel, bacon, and orange juice. CK: How did you deal with injury to the extent that you either avoided it or were able to rehab effectively? DL: I used to get injured often when I first started training for marathons. Eventually, I worked to shorten my stride, and I haven’t been injured since. 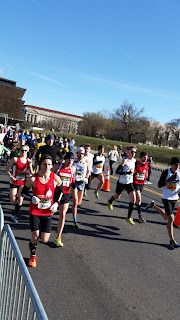 CK: What did you learn about yourself--as a runner, as a person--throughout all of your training up to the 2017 DC Rock 'n' Roll Marathon? DL: You can learn how determined you are after 8 years of training and 10 complete marathon cycles. My previous marathon was just this past September (2016) in Lehigh. I was in great shape, but a heat wave came through, so the race started when it was already 80 degrees. Then, at mile 6, a train cut the course off from us for 7 minutes. I finished in 3:10:58, missing a Boston Marathon qualifying time by 59 seconds. All you can do is laugh and be thankful for the health and ability to run a marathon after that experience. CK: As 10 complete marathon cycles should indicate, you trained tenaciously for your sub-three-hour marathon. Could you offer a perspective on how marathon runners should think of their timelines to their PR races? DL: I take each week at a time and focus only on that week. My friend once told me, “It’s the last two miles/intervals that make or break you.” Putting this into your training--envisioning those final miles--and also ensuring a consistent running regimen are crucial, I think, to proper marathon preparation. I also worked to a point where I was able to run about 10% more than what traditional training plans would suggest to increase my race-day stamina and to bank some extra miles. CK: As a follow-up, how would you recommend that marathon runners work through the inevitable setbacks, training interruptions, or even DNF races? DL: I think each person reacts differently to setbacks. I take them as challenges to work harder and to reset my goal and approach. When my marathons weren’t coming together, I focused on half marathons and was able to drop my times considerably, regaining some energy and desire to take on the longer run. I also have a supportive wife, family, and friends. Though not all of them understand the sacrifices I've made for training, they do respect those sacrifices. CK: What advice do you have for aspiring marathon runners of all kinds? DL: Remember to take it one day at a time, set a goal, and get after it. Only you can make it happen. Actions speak louder than words. The past year or so has found me doing a lot of work to build Coach Kiprunning and to set up our Sports Club. As a result, I haven't been competing in many races in recent years. With 2017 well underway, I am hoping to change that trend as I return to competitive running. As our own Joseph P. Fisher pointed out a few months ago, we aren't getting any younger around here. Therefore, I am currently setting my sights on training to compete in the Masters division of a future Boston Marathon (I'm not quite that old yet). My more immediate test race is going to be this year's Cherry Blossom Ten Miler. As a warm up race, I competed in last week's Race for Equal Justice. This past weekend found me in the St. Pat's Run 5K. The field in this race, as well as in the 10K, is very competitive. The course, however, is flat and fast, which probably contributes to the intense competition, but in doing so also allows runners a great chance for PR-setting times. 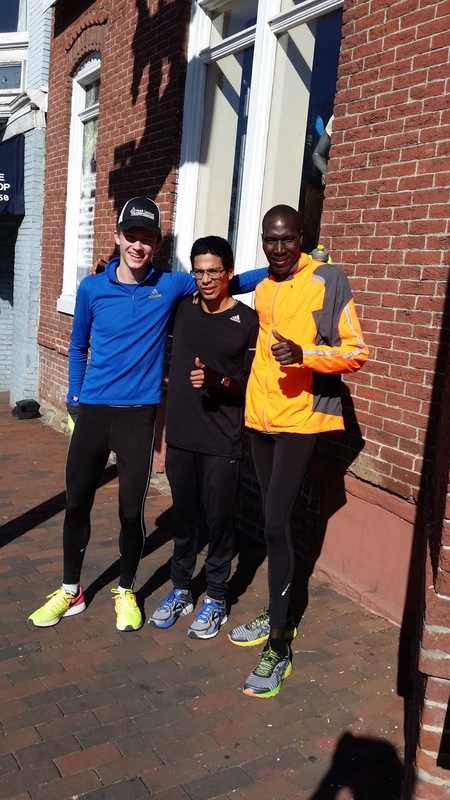 I was pleased with how I ran, and I am anticipating some good racing and training in the future--just as the weather warms up, I hope! In the meantime, I want to emphasize how much fun these races are just for pure camaraderie. Fittingly, they began with the sound of bagpipes and a healthy dose of good cheer. The runners--both competitive and recreational alike--were in good spirits, even though the weather dipped dramatically into the cold temperatures. The sunshine, however, couldn't have been better, and it made for a festive day all around. Again, I was just thrilled to compete and to be able to spend my weekend around other runners. 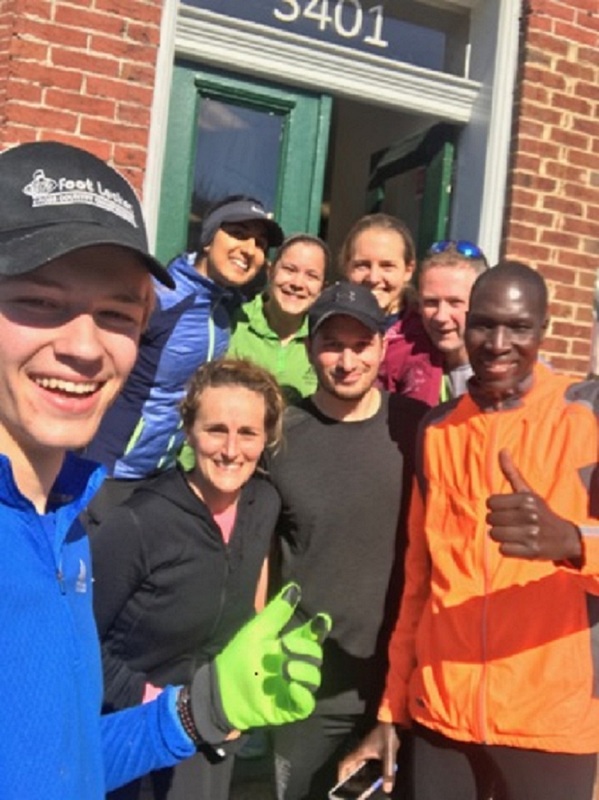 The day before the race, I jogged with a small group of runners from the Kiprunning Sports Club and finished just in time to chat with some members of DC Road Runners. It was a great weekend, and I am looking forward to many similar ones in the near future. I'll see all of you out there. Small but sweet--those are the appropriate ways to describe the Race for Equal Justice. Sponsored by George Washington Law's Equal Justice Foundation, and organized by DC Road Runners, the 2017 event ran out and back (and out and back again, if you ran the 10K) on Hains Point. East Potomac Park (aka The Home of Joe Fisher's tempo runs) is a pancake flat, beautiful stretch of land that affords runners panoramic views of large chunks of southern DC and Arlington, VA. It's the perfect location for a PR. Last Saturday's weather was unseasonably warm, giving the race a beautiful springtime feel, including what were, at times, some strong headwinds. The race itself is still tiny enough that runners have the opportunity to stretch out and to settle into their respective rhythms without overcrowding. Likewise, if you're having a good day, you stand a solid shot of placing high in the field. Coach Kiprunning was represented at the race, and we ran well (check out the photos on our Facebook page). The crowd support was excellent, as was the hydration support on the course. We wish heartfelt thanks to all of the organizers and participants.